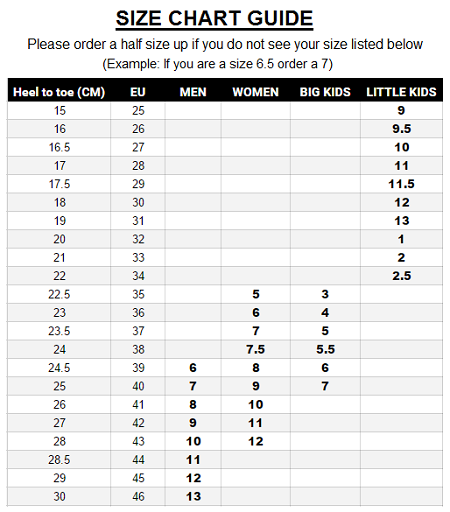 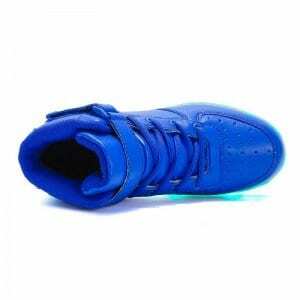 Grab the most popular pair of blue led shoes high top for little kids for the best prices guaranteed. All of our light up led shoes are 100% rain proof and brighten in numerous colors. 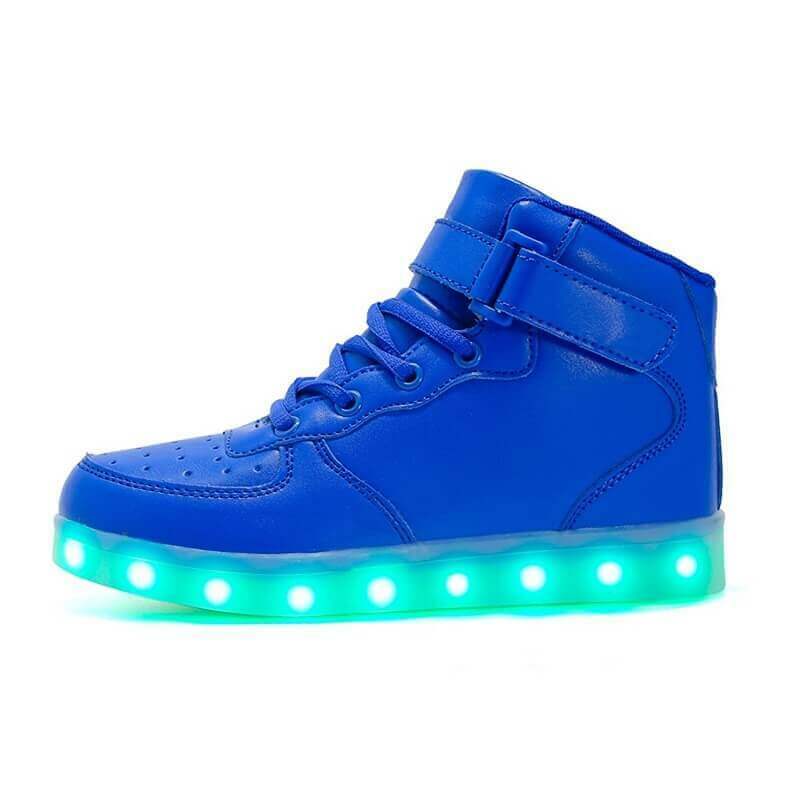 Adjusting the colors of the new led shoes is extremely fast and super easy with just the click of a button that is placed inside the new shoes with lights. 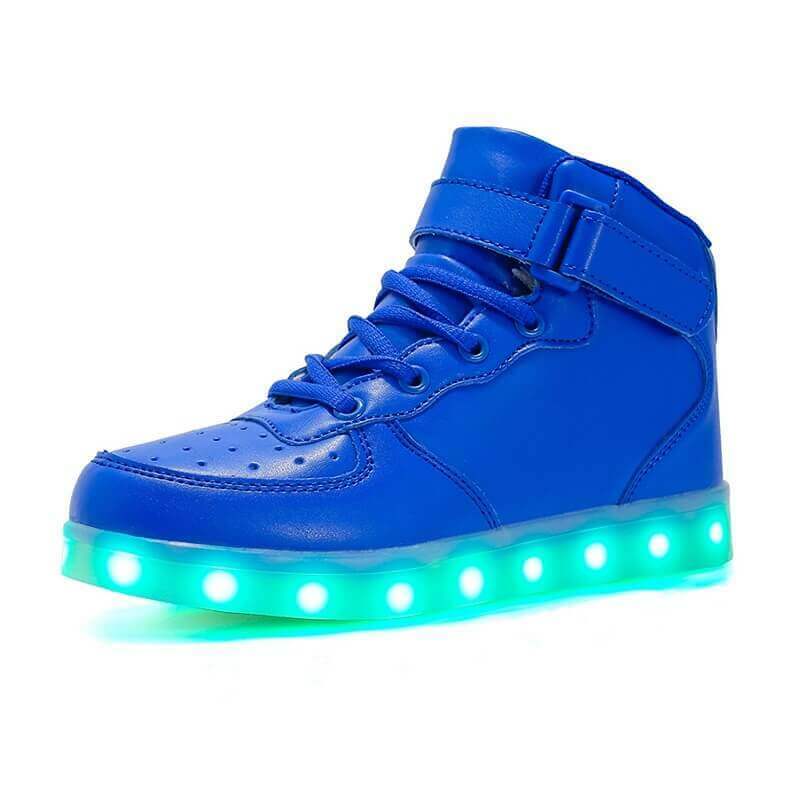 You have a number of possibilities to select the colors of the bottom light up shoes. 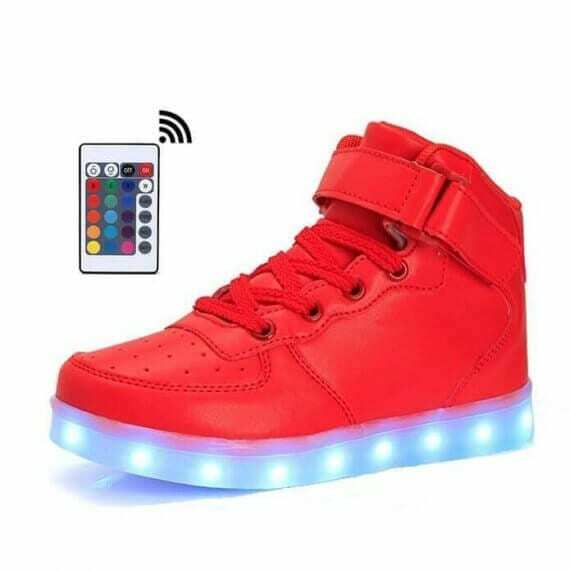 By utilizing a button nicely situated sitting inside the led light shoes for sale you can determine the individual settings to display a solid color or multi color light design and style. 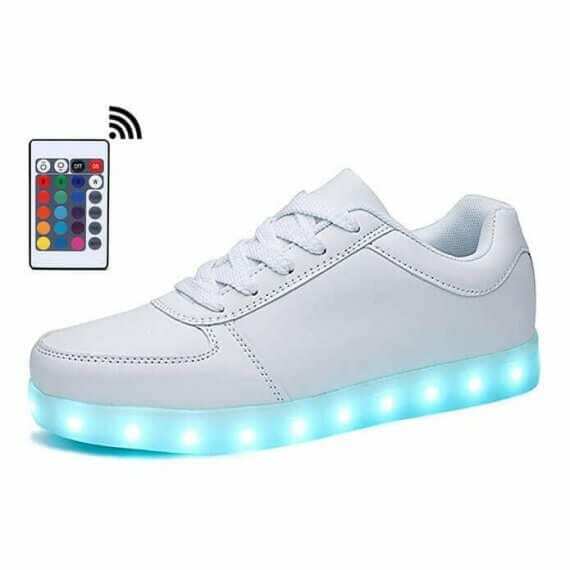 The sneakers led lights are comfortably ruled via a cellular phone app if you choose to update. 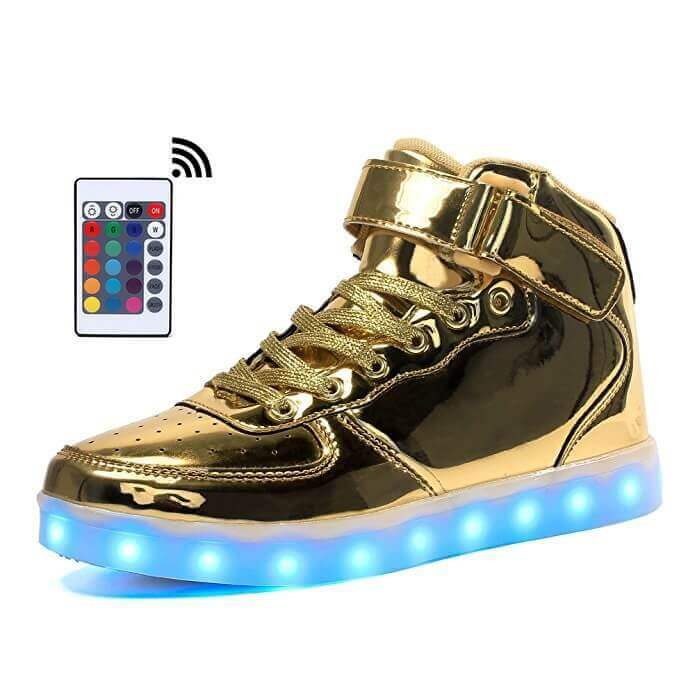 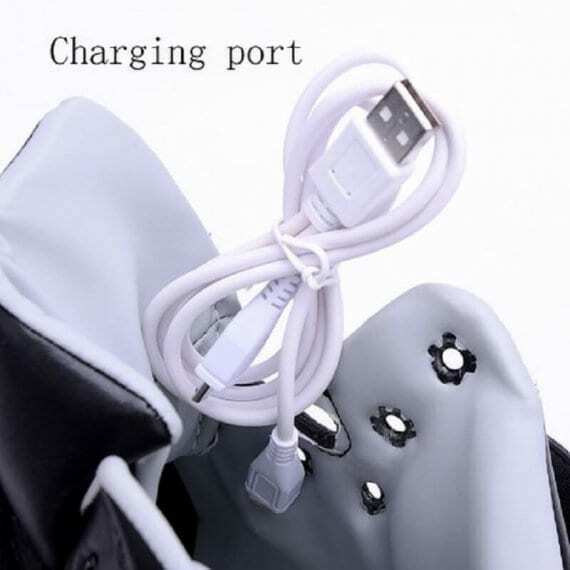 Every single pair of sneakers that light up has a USB cable for trouble-free and comfortable battery charge that continue in more or less 9 hours.